Westminster Weekend will be held at Stoneridge Inn, London from May 3-5. There are great speakers & wonderful workshops planned. Registration deadline is April 14. This year they have “A Taste of Westminster” where you only go for the Saturday. The cost for the one day is $75. ​For more information talk to Sharon Ball. as our national UCW project, it is time to choose something new. from now until our 60th anniversary in 2022. The main focus of the project is to combat poverty by enabling girls to stay in school. It will involve raising money to send to local partners through Mission and Service. ​Between 2012 and 2017 UCW raised $268,956 for traditional birth attendants at the Morogoro Training Centre, a United Church partner in Tanzania. During UCW's 55th year, two UCW members went to Morogoro, and two women from the training centre travelled to Vancouver in July to join the UCW at its Annual Gathering. the Bread Not Stones project to end Child Poverty (www.endchildpoverty.ca). 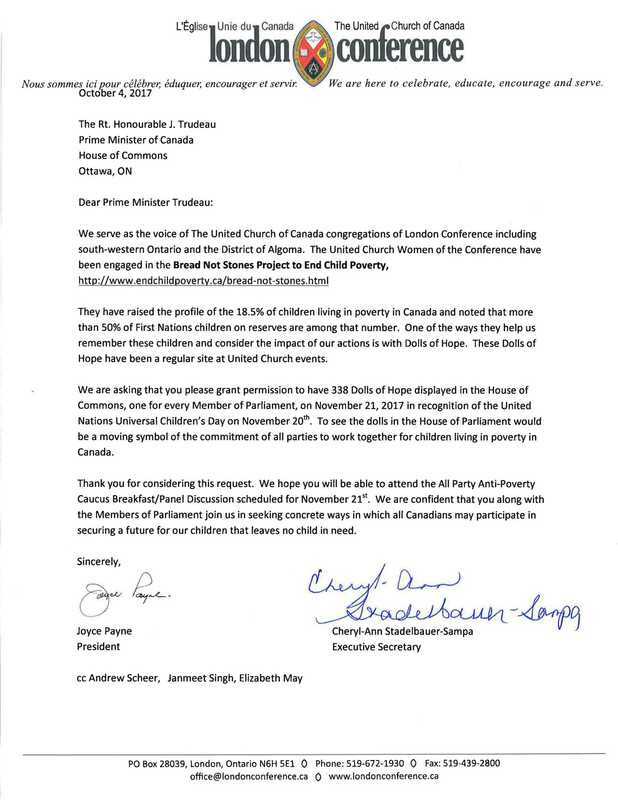 on November 20 … in the House of Commons! Everyone enjoyed an enlivening day of 'Sustaining Hope' with Theme Speaker Glen Pearson and Rev. Dr. Donna Kerrigan in the morning and the Southern Ontario Ukulele Players in the afternoon! 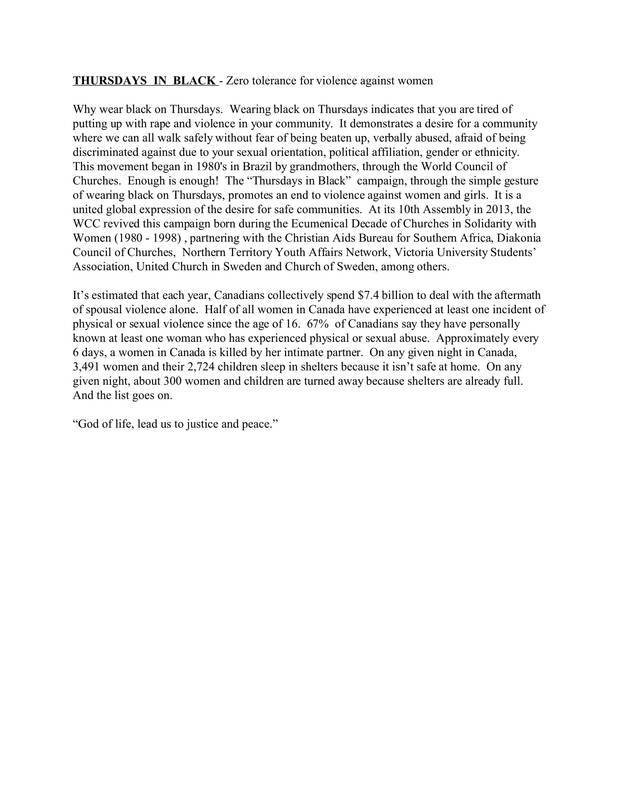 ​​The new United Church Women's Handbook is out. ​Click on the button to read it. ​was held in Brucefield on April 22, 2017. 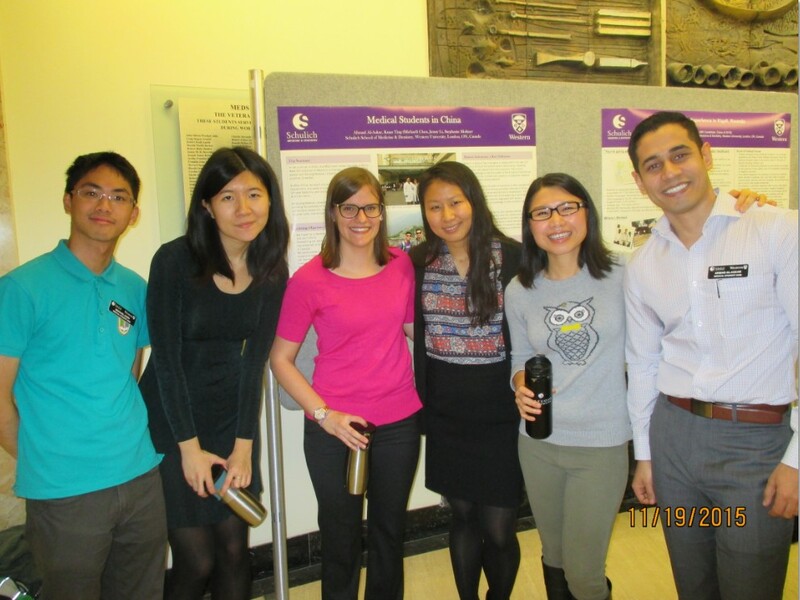 On Thursday, November 19, 2015, women from London Conference UCW were invited to attend the presentation of this summer's MEOP students. Four were able to attend, as it was rather short notice. 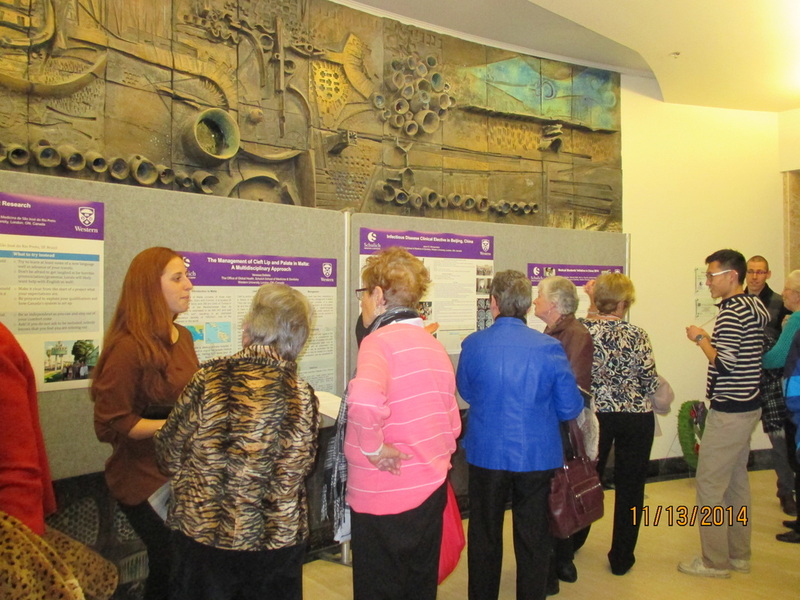 Carolyn Fraser and Wendy Kempster attended from St. Paul's. Another wonderful day at Siloam U.C. celebrating 25 years of summer Event. The theme speaker was Rev. 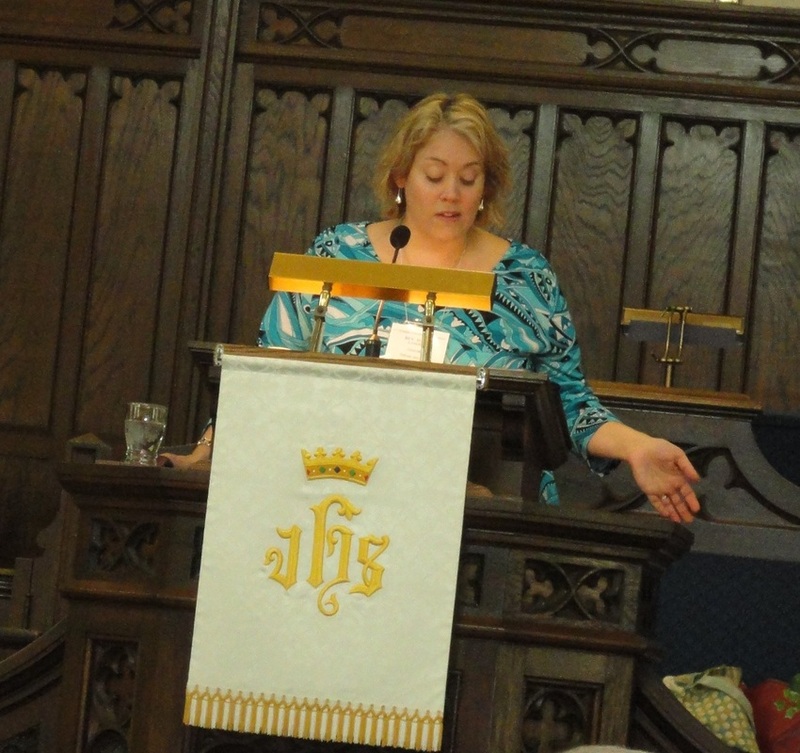 Dr. Kate Crawford who talked about the writings of a fourteenth century woman named Julian of Norwich. Julian's book is the oldest work written in English by a woman that is know to exist. Her writings support the belief in the abounding love and mercy of God. 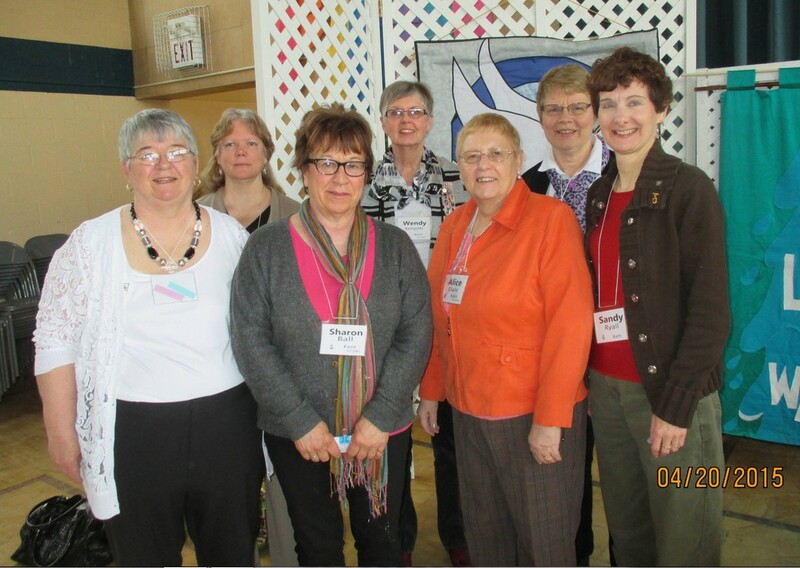 London Conference UCW's 53rd Annual Gathering was held in Sault Ste. Marie on Sunday, April 19th and Monday, April 20th. 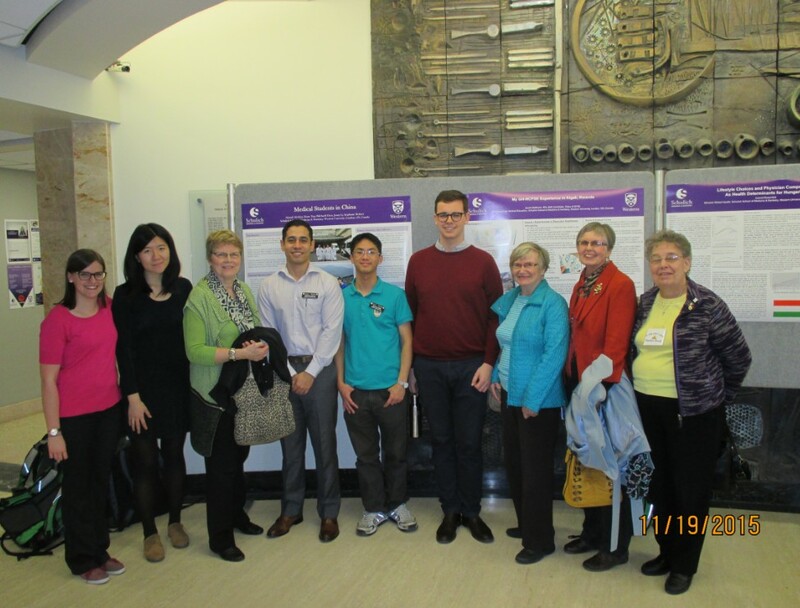 London Conference UCW was once again invited to participate in the International Experiences Showcase event on November 13, 2014, at the Schulich School of Medicine & Dentistry at Western University. After a delicious lunch, Dr. David Cechetto spoke about his work in Rwanda setting up training for health care providers. 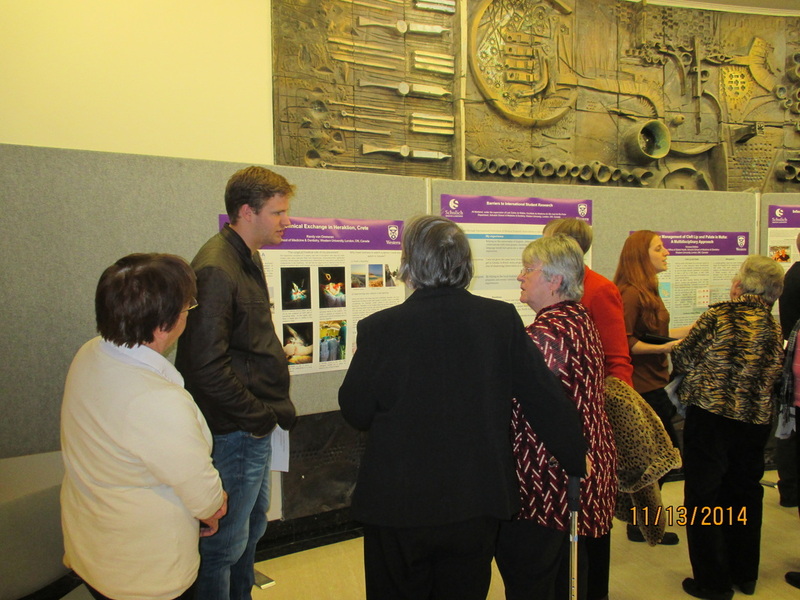 Then we moved down the hall to talk to the young people who have had a Medical Electives Overseas experience. They were in their second year of medical training. This young man had been to Crete. This young woman had worked with doctors repairing cleft lips and palettes in Malta. The end of the day - Global Health staff, the young doctors and UCW members. 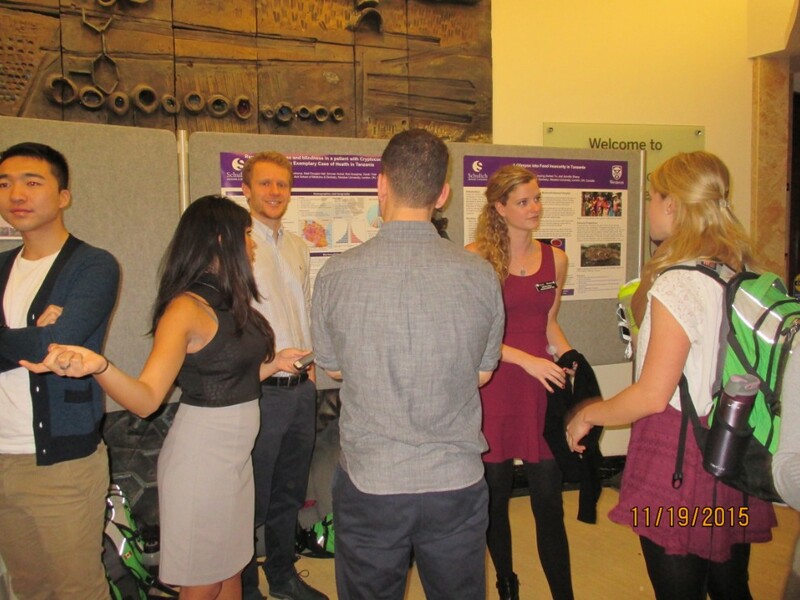 2013 Schulich Medicine & Dentistry International Experiences Showcase. This highlighted the experiences of the medical students that we support through Medical Electives. 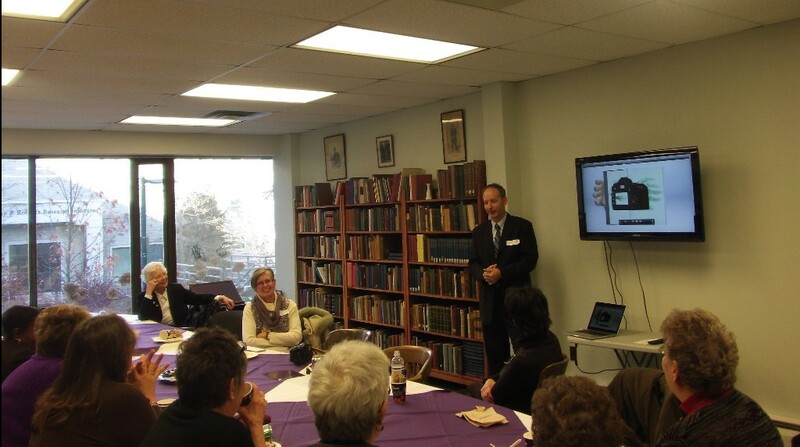 Dr. David Holdsworth gives a presentation on his low cost, low maintenance x-ray machine. 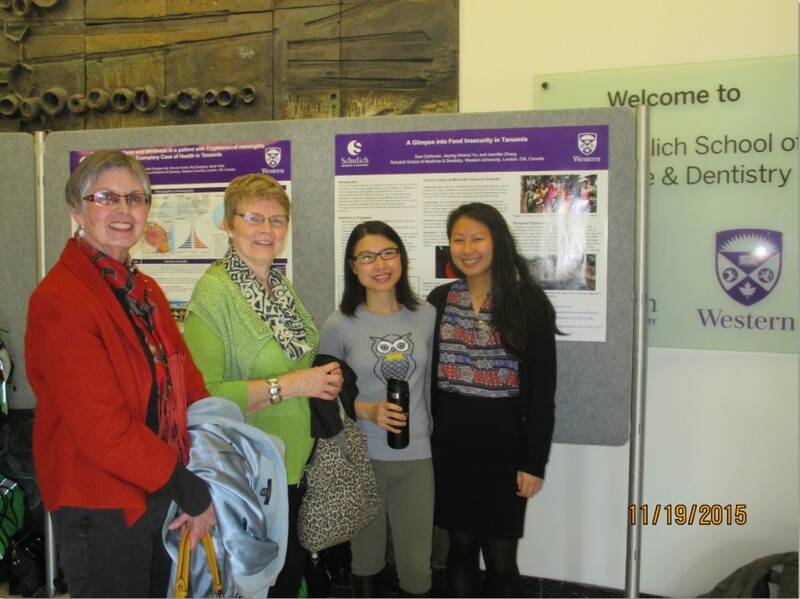 Click here to see more pictures of our afternoon at UWO at the invitation of the Department of Global Health. 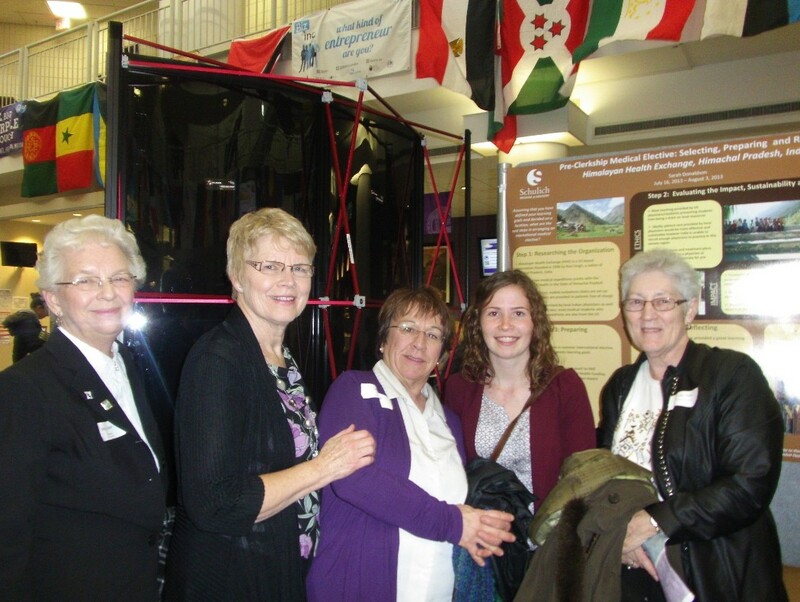 Betty Lou Baker, Carolyn Fraser, Sharon Ball, a 4th year medical student and a UCW member from Woodstock. 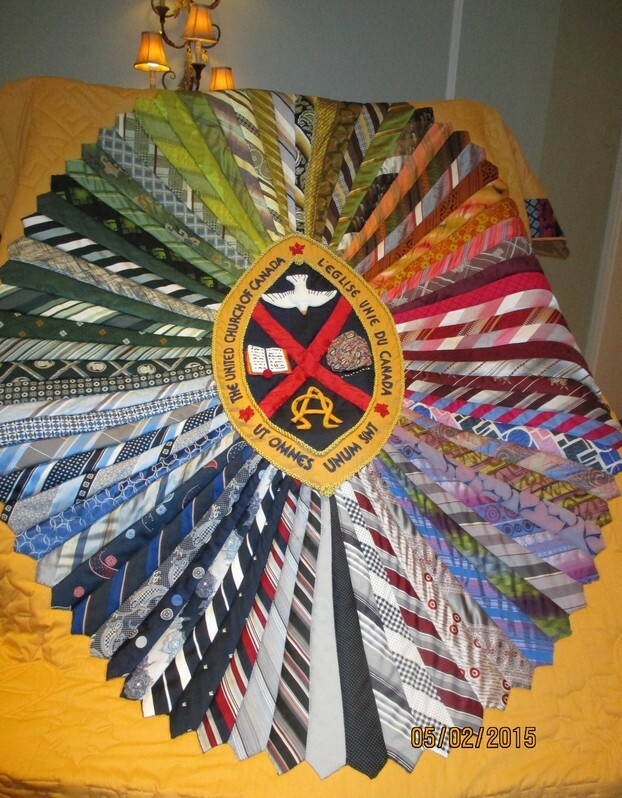 Interesting fact - From January 1, 1962 to the end of 2011, UCW gave $126,340,900 to M&S. During 2012, $1,700,000 was donated. The Morogoro Project of 2013 collected over $268,000. That is a total of $128,308,900. $268,747 Received with joy, thanksgiving, and gratitude! 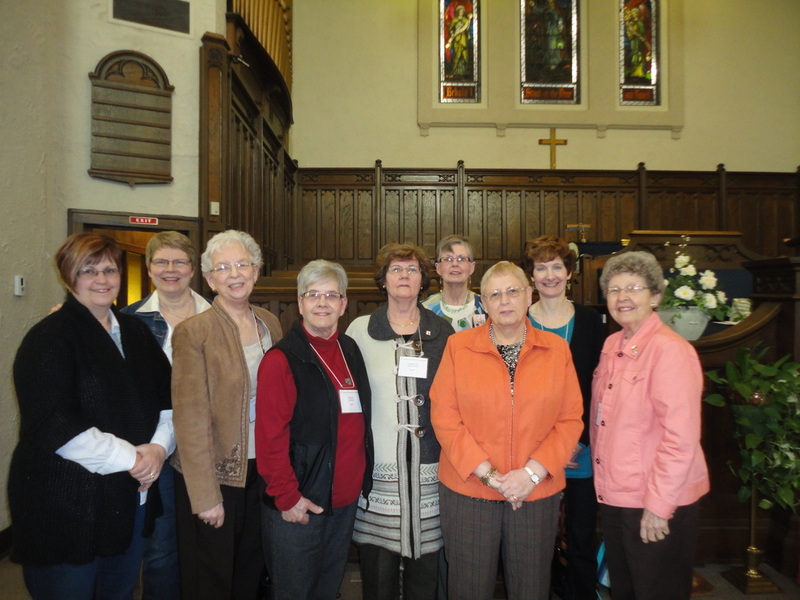 The Gathering was held at Epworth United Church in Kingsville. 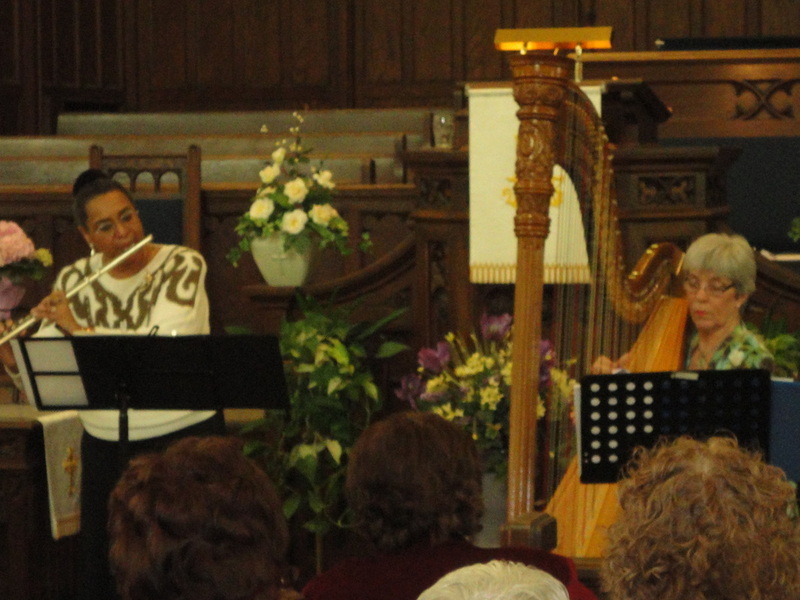 The theme was "The Joyful Noise Continues". The Rev. Maya Landell was the theme speaker and The Rev. Doctor Catherine Collins-Barker was the Bible Study Leader. Rev. Paul Browning, Chair of London Conference, installed the new executive. The focus this year was the "Stories of Strength - Lois and Eunice". The theme speaker was The Rev. 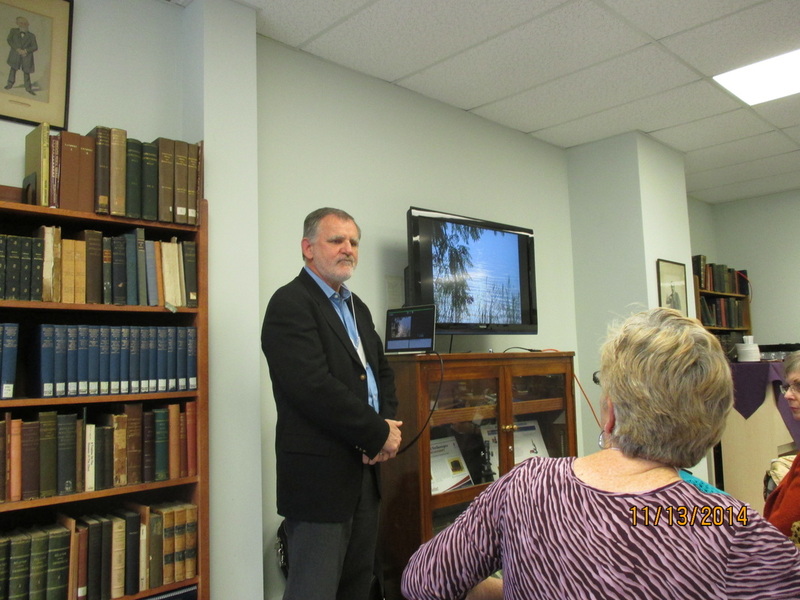 Dr. Jeffery Crittenden who is the senior minister at Metropolitan United Church in London. Worship Leader was the Rev. Dr. Paul Crittenden, father of Jeffery. He comes from Hamilton Presbytery where he works with four churches on Hamilton Mountain. As always, this was a fun day. The air-conditioned church was very comfortable in the heat wave that we were having. The theme was Recognizing God's Nudge. As guest speaker, Rev. Matthew Stevens gave a new/old interpretation of the story of Adam and Eve and generously brought UBS keys so that the power point presentation could be shared with others. The entertainment, In a Heartbeat, was quite a fun surprise as these talented women showcased many unexpected talents. Then Susan McCarroll, an interior designer, gave us practical hints on giving our homes a fresh look. 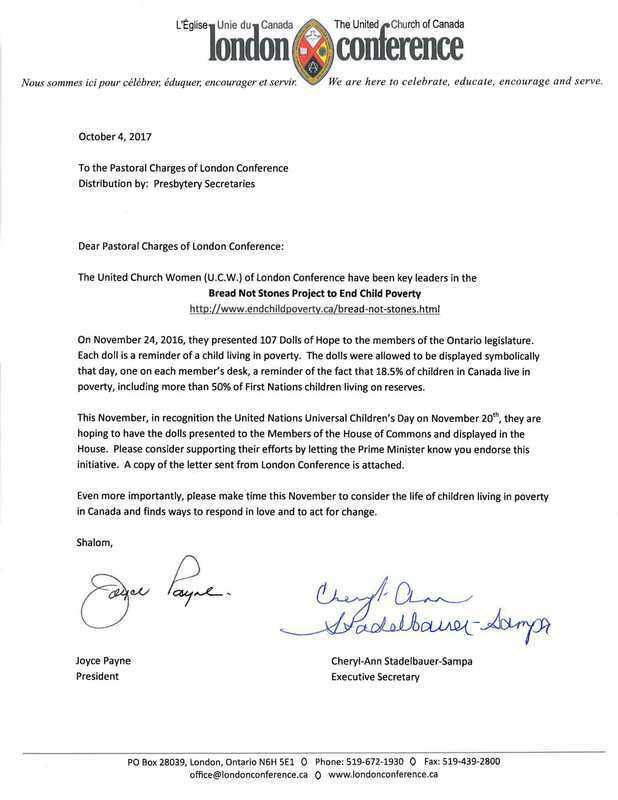 To read the press release on the United Church of Canada site, click here. 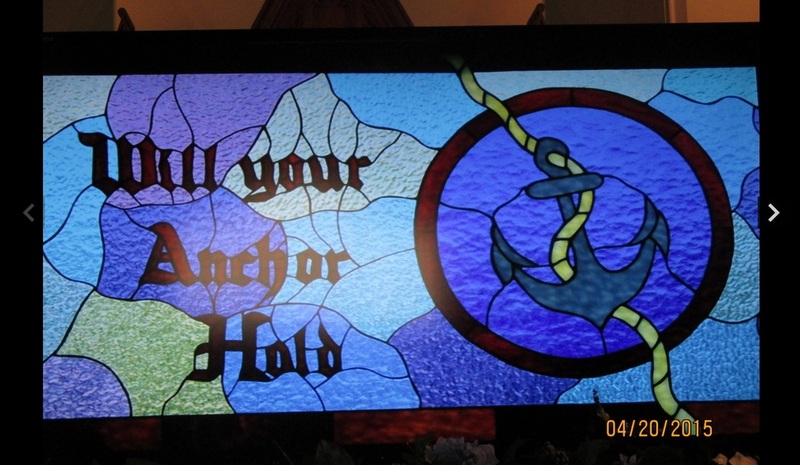 In 2012, Kent Presbyterial UCW collected $1,136.42. 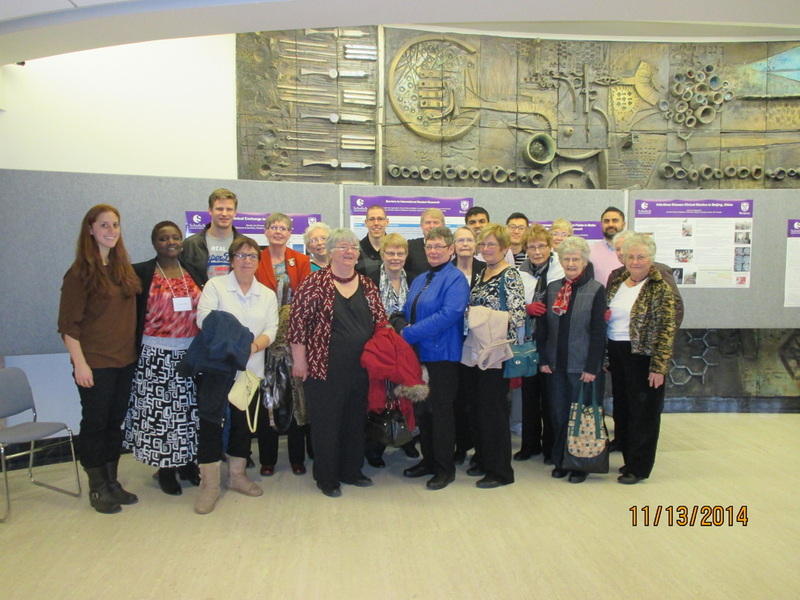 London Conference UCW was able to send $8,782.42 to the University of Western Ontario to help young doctors experience medicine in third world conditions.